Dressed in a Rambo combat like gear and heavily armed, Justin Bourque, 24, a New Brunswick, Canadian man yesterday evening took to mounting his special brand of terror. 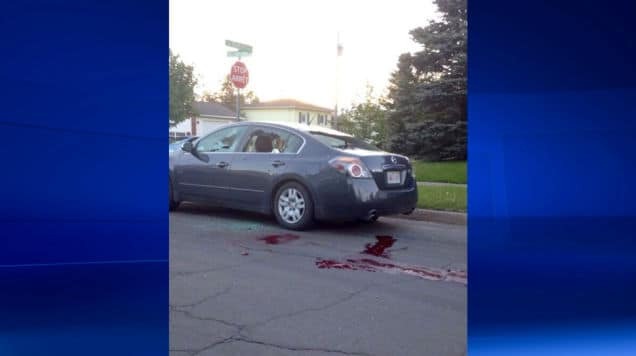 The mayhem began circa 7.30pm when cops tended to reports of a heavily armed man roaming in the city of Moncton, New Brunswick in military camouflage. From there a deadly shoot out would ensue in which Justin Bourque would claim the lives of three police officers as well as injuring two others. 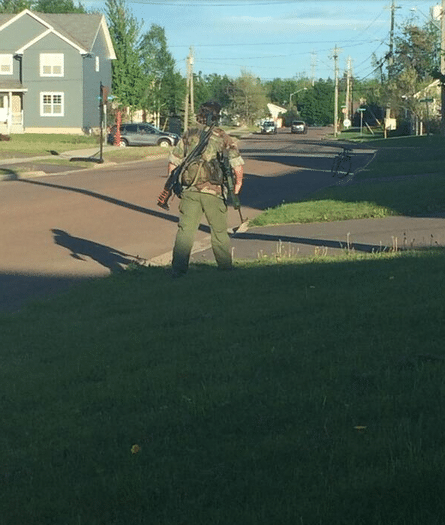 Able to flee and in possession of two military-style assault rifles with high capacity magazines, a bow and a knife, Justin Bourque has caused the area of Moncton to remain on lockdown as fears that Bourque will now choose to strike new targets. At present desperate efforts are being made to find Justin Bourque before he unleashes further mayhem. The gunfight miraculously would be captured by Vanessa Bernatchez on camera and later uploaded on Facebook. 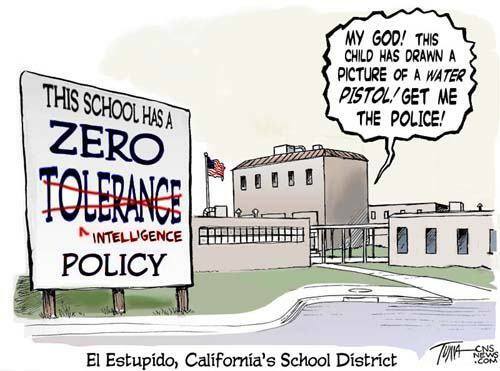 Local schools have been shut and buses cancelled as the police hunt the shooter. Isaac explained that Bourque was fired from Walmart for his ‘attitude’ and being ‘defiant’. Nevertheless she said he seemed ‘friendly enough’. Another friend revealed that on a camping trip Bourque spent the entire night clutching a rifle, which unsettled the group a great deal. They didn’t invite him the next time they went. Mike Campbell, who described himself as Bourque’s best friend, revealed that ominously, he told him a few weeks ago that it wasn’t likely that he would see him in the near future. When Campbell invited him to visit, Bourque replied ‘that probably won’t be able to happen’. Asked about the shootings, he said the situation is ‘not right’ but that Bourque ‘would be the last person I would think would do this’. He revealed that members of Bourque’s family had been ordered out of their house at gunpoint. Since the shooting, RCMP officer Damien Theriault and Mayor George LeBlanc have made an emotional address to the media. Theriault would tell how he personally knew the officers killed, before breaking down and excusing himself because he couldn’t complete his sentence. Theriault said the city of Moncton didn’t have a homicide last year or this year until Wednesday evening. ‘We have been blessed until this point,’ he would tell The Associated Press. New Brunswick Premier David Alward would also release a statement: I was shocked and saddened to learn of tonight’s tragic situation in Moncton. On behalf of all New Brunswickers, I would like to extend my thoughts and prayers to those affected. 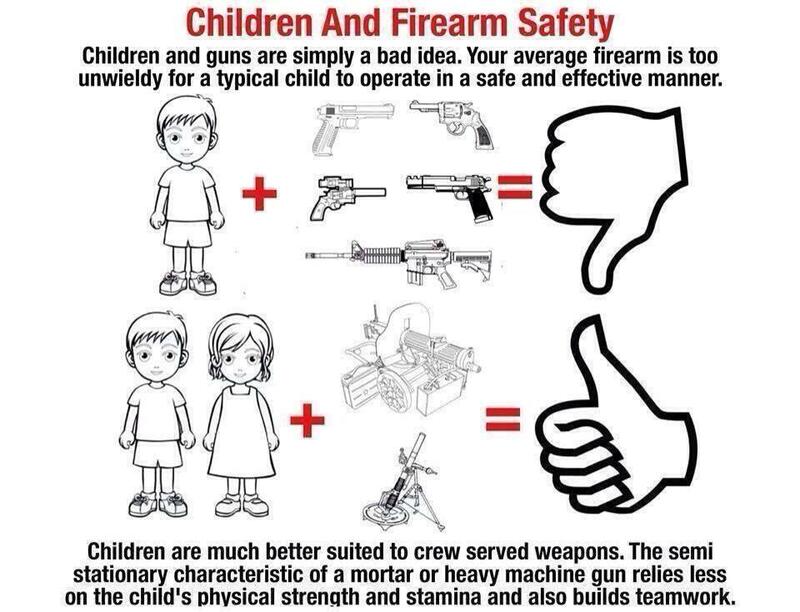 I would ask New Brunswickers, particularly in those areas identified by police, to follow the situation as it develops and to listen to the advice of police. 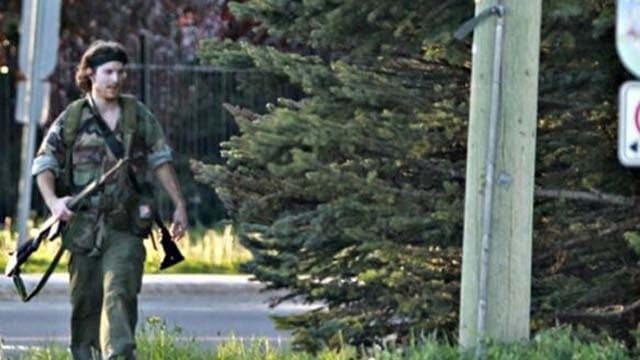 SInce the shooting, the RCMP has sought to interview witnesses, one witness who spoke up was, Danny Leblanc, 42, said he saw the shooter in the distance Wednesday evening, wearing a camouflage outfit and standing in the middle of the street with his gun pointed at police cars. The construction worker said he believed it was an RCMP officer he was looking at until he heard a burst of automatic gunfire coming from the man’s gun. He said he quickly retreated into his home and remained there with his family. At one point a neighbor posted on social media that their kitchen window was shattered by gunfire. According to witnesses, the first gunshots came from a wooded area about 100 yards from the trailer park where Bourque lives. Leblanc said few people on his normally quiet street were sleeping as they waited for word at midnight on whether arrests had been made. 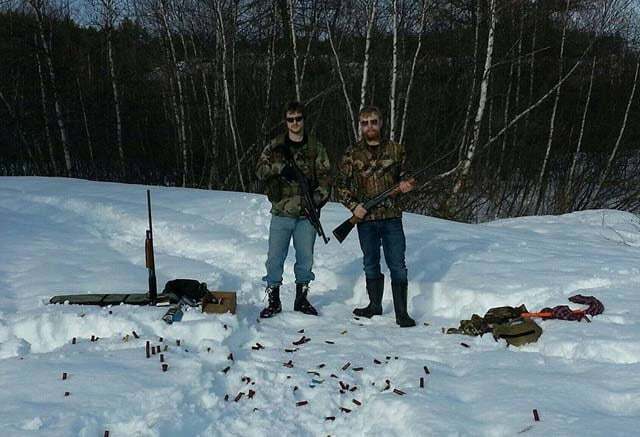 And yet if authorities are to make a detailed assessment of the man’s motives, perhaps Justin Bourque’s chilling last post on facebook might be indicative of the degree of hate and hostility he bears. His last status update posted hours before the deadly shootout included lyrics from Megadeth’s song Hook in Mouth. ‘Don’t try to fool us, we know the worst is yet to come/ I believe my kingdom will come,’ tells the posting. This absolutely has to be the most grammatically incompetent, half-assed piece of journalism I have ever had the misfortune of being exposed to. Your endeavors are sloppy and loose and you should feel bad about yourself.